Whenever I asked about dining in south Florida, I got either no real suggestions, or an expensive spot in Miami. But south Florida isn't just Miami, and I wasn't going anywhere near South Beach. My family is further up the coast, between Boynton Beach and Coral Springs. Luckily for me, the locals and snow birds expect good food and cool spots. 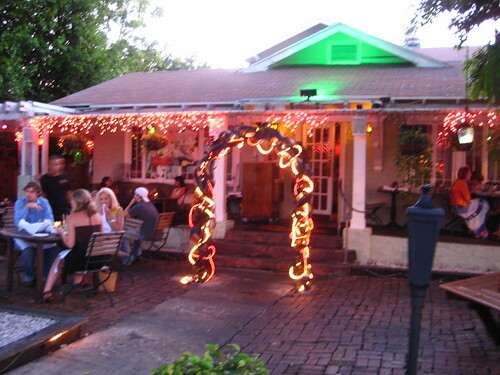 One of those spots is Dada in Delray Beach, a hip restaurant located in a converted 1920's home. Inside is a mixture of eclectic vintage furniture accompanied by unusual, modern paintings giving the place a cool vibe which allows it to be a great venue for artist's shows. 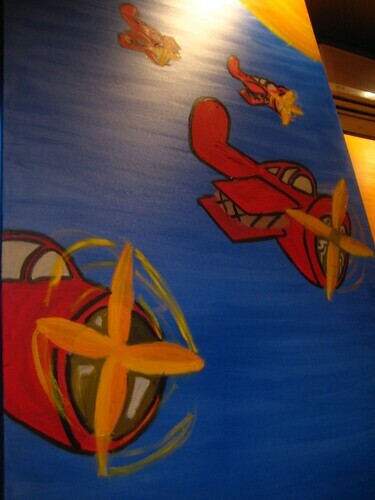 While we ate, there was an art showing occurring, as well as a jam session happening on an outside stage. 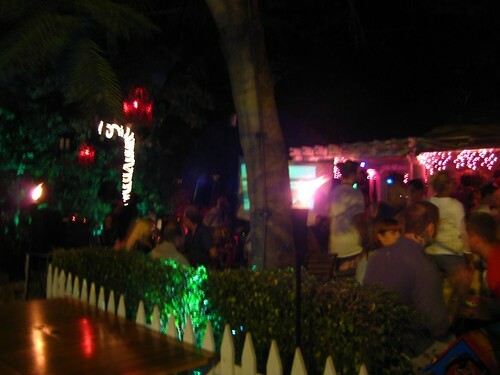 Their drink menu is extensive with many different versions of mojitos and margaritas. 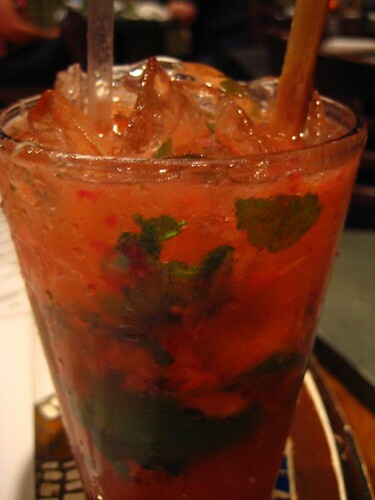 I chose the strawberry mojito, it came with fresh muddled strawberries and was quite refreshing and delicious. The menu is modern American with a few local influences. 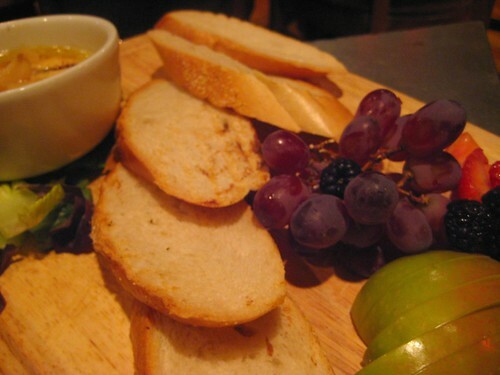 For an appetizer, we went with the grilled brie soaked in garlic honey butter. Everything in the world is made better by soaking in garlic honey butter. They could have been more generous with the fruit aspect to the platter, but I can overlook that for garlic honey butter. 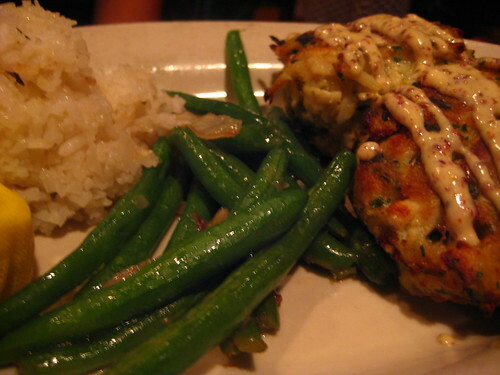 On the entree side, my cuz got the crab cakes with sherry mustard and Sriacha. The cakes were perfectly cooked, tasted fresh, and well-spiced. This was definitely not canned crab. 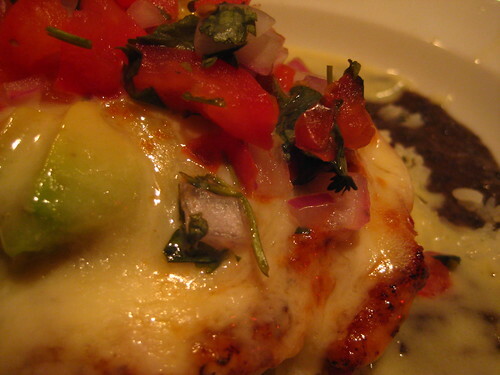 I decided on the Chicken Del Rio-chicken over a black bean puree, topped with an avocado and melted provolone cheese. The chicken was moist, and though I wasn't so sure about what could be a sharper cheese, the flavors did come together pretty well. 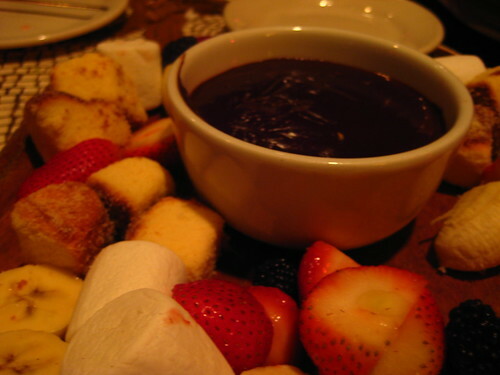 Dessert ended up being a three-way sharing-a friend had shown up-of the chocolate fondue with pound cake, fresh fruit, and marshmallows. The chocolate was rich and dark, maybe 65-75% cocoa. The chocolate was a little too solid for my tastes; I felt it could have been warmer and more fluid. Overall, the food isn't mind-blowing and could be viewed as a little overpriced for South Florida, but it is very good quality and beat my expectations for South Florida dining. The ambiance, and the ability to eat, then hang out all night can completely make up for the price.